"I was able to buy the perfect boat." Allan LaFrance says it with conviction. He&apos;s had his 31-foot Down Easter for only a season, but it&apos;s already opened up a whole new world of boating. "This boat can take you places, places that many people never get the chance to see," says LaFrance, 60, of Nantucket, Mass. "My wife, Mary, saw whales for the first time, off Provincetown [Mass.] - not one, but a hundred Humpbacks." "We take showers with our solar shower in the open cockpit, grill great meals outdoors, take the dinghy and explore everywhere," he continues. "In the evenings, we sit with a glass of wine and watch the most remarkable sunsets of orange and red. Once, there were bagpipes playing on a yawl next door." 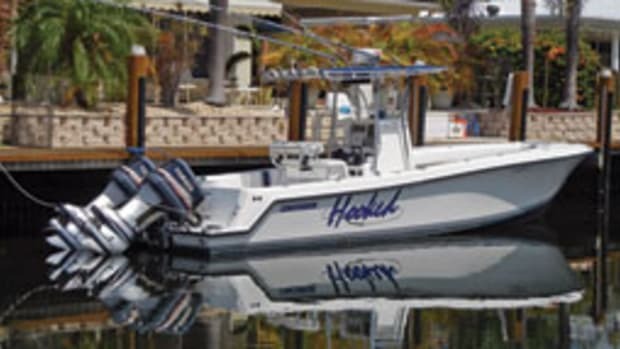 The boats he&apos;d had - an Ocean Master 31, Seacraft 23 and Regulator 26 - were great for fishing, he says. But over the last few years, LaFrance and his wife began to consider another kind of boating. "We found ourselves looking for a Down East boat in the 30- to 35-foot range that the two of us could cruise on. But it also had to have a fishing component." It wasn&apos;t an easy fit. "I couldn&apos;t find the right boat," says LaFrance. "That is, one with enough power to get offshore and back - we frequently fish for bluefin tuna 30 miles [out] - that also had room for fishing and enough fit-and-finish below." 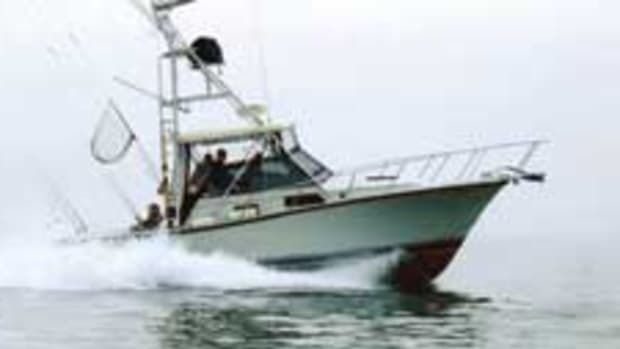 An article in Soundings on the Wilbur 34 changed his luck. "I saw the story, got online and located a very tempting Wilbur 31 [on Long Island, N.Y.] and flew there to look at it," says LaFrance. 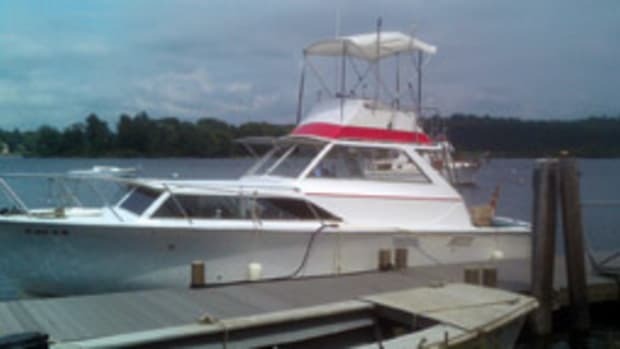 It was a 1999 Wilbur 31 Dirigo and it was "beautiful, a fishing, cruising machine," he says. "I was so excited on the flight home knowing that all our hopes of cruising to Maine, the Hudson [River] and one day the Bahamas were really going to happen." He bought the boat in September 2009 for $145,000 through Wilbur Yachts in Southwest Harbor, Maine, with the help of broker John Morin. "They were great in steering me through the survey and sale," says LaFrance. "I knew Wilburs enjoyed a strong reputation for quality, but I didn&apos;t realize how much continued support they provide." It didn&apos;t take long for the boat to show its offshore capabilities. "My fishing buddy John and I drove her [home] to Nantucket on a very blustery day," recalls LaFrance. A northwest wind was blowing 30 to 35 knots on the beam and quarter, but the Wilbur tracked straight and stayed dry. "I noticed right away what a great sea boat she was," he says. "Since that day, I have had the boat out in just about any condition you can think of and people on board comment on how remarkably well she handles the sea." Power comes from a single 320-hp Yanmar turbo diesel. The boat cruises at 15 knots and tops out at 19 "in perfect conditions," says LaFrance. It came with a complete set of integrated Raymarine electronics, which LaFrance has updated with new software. The cabin has the creature comforts a cruiser requires: V-berth, head compartment with a shower and a full galley. And there&apos;s a pilothouse berth that pulls out to a double. "It&apos;s perfect for a couple," says LaFrance. "And she has a &apos;soft back&apos; [open wheelhouse aft], which I love. In summer you can open up the entire boat, yet still pull down the Glassine door or screen." 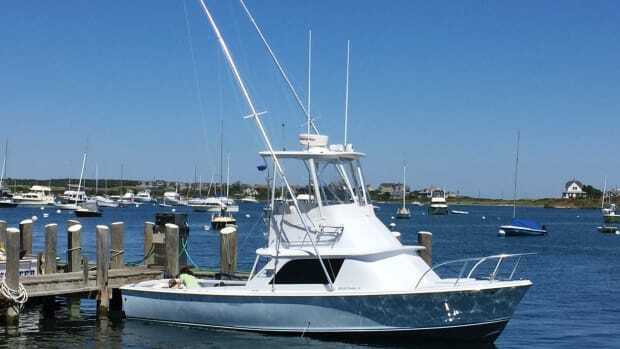 Nantucket boasts fine open-water fishing and the Wilbur&apos;s been a versatile platform. "At more than 11 feet wide, she can handle three or four big guys fishing her transom," says LaFrance. He&apos;s also picked up some different kinds of fishing. "Besides bass and bluefish, Nantucket yields huge fluke and black sea bass," he says. "This bottom fishing is kind of new to me, but addictive all the same." The couple managed a couple of short cruises last summer, their first with the Wilbur. One was to Provincetown and on to southern Maine. 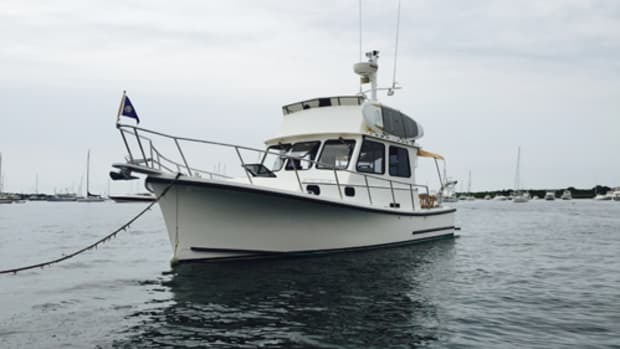 The other took them along the Elizabeth Islands off Cape Cod, Mass., to Cuttyhunk, Mass., and on to Block Island, R.I. "Our dream trip is to cruise up the Hudson River and bring her back through the Erie Canal and the Great Lakes," says LaFrance. "Maybe in two years." Meanwhile, his appreciation for the world the Wilbur has opened grows. "We&apos;ve already met the most interesting people in the most beautiful places, spots that you would not see without a strong boat to get you there," he says. "She is filled with grace and rock-solid." The Wilbur 31 Dirigo is a Willis Beal design steeped in Maine heritage. 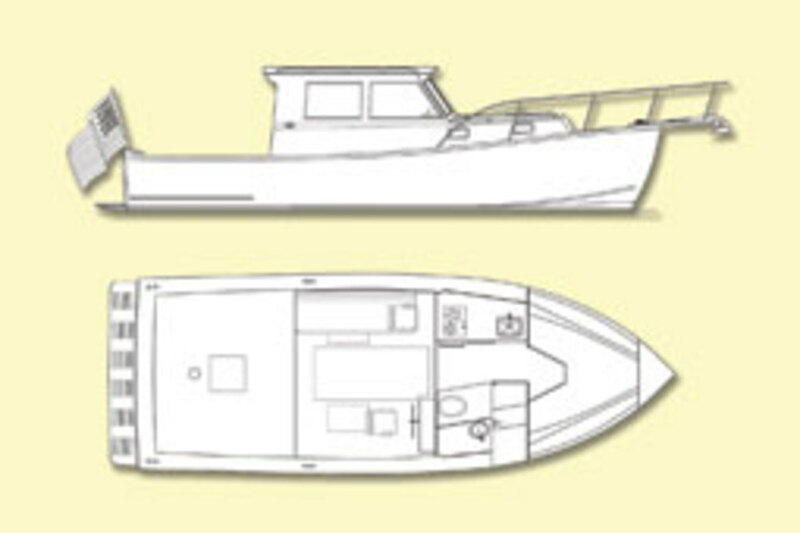 The fiberglass semidisplacement hull has a sharp entry and a flat run aft, carrying a full-length keel and protected rudder. The superstructure incorporates end-grain balsa. The sheer slopes gently from the tall bow to the transom, and the trunk cabin has four ports - two on each side - wood handholds and a deck hatch. 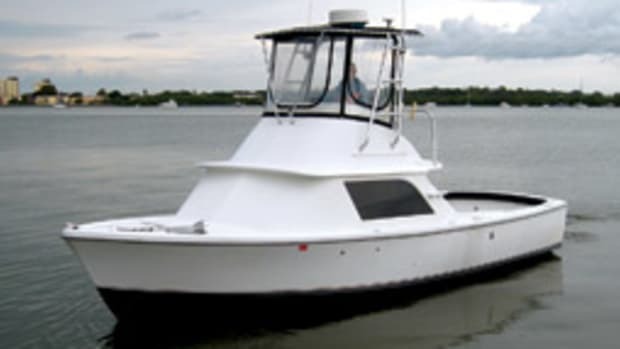 Layouts differ in Wilbur&apos;s semicustom boats, but the basic pilothouse design features a molded fiberglass helm console with pedestal or bench seat to starboard, with additional seating or a small table to port. Below, the basic galley includes a two-burner LP range, under-counter refrigerator, stainless-steel sink, counter space and storage. The private forward cabin contains a V-berth for two, with hanging lockers, under-berth storage and reading lights. The enclosed head comes with a standard marine head and hand-held shower. The interior also features a teak-and-holly sole throughout. 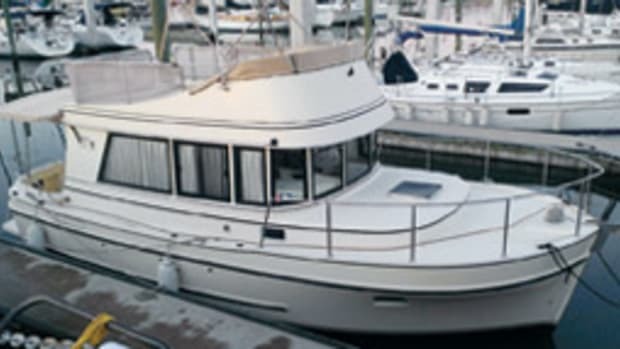 Options include a flybridge, generator, air conditioning, bow thruster and windlass. Owners can request their own layout options, including choice of wood and finish. 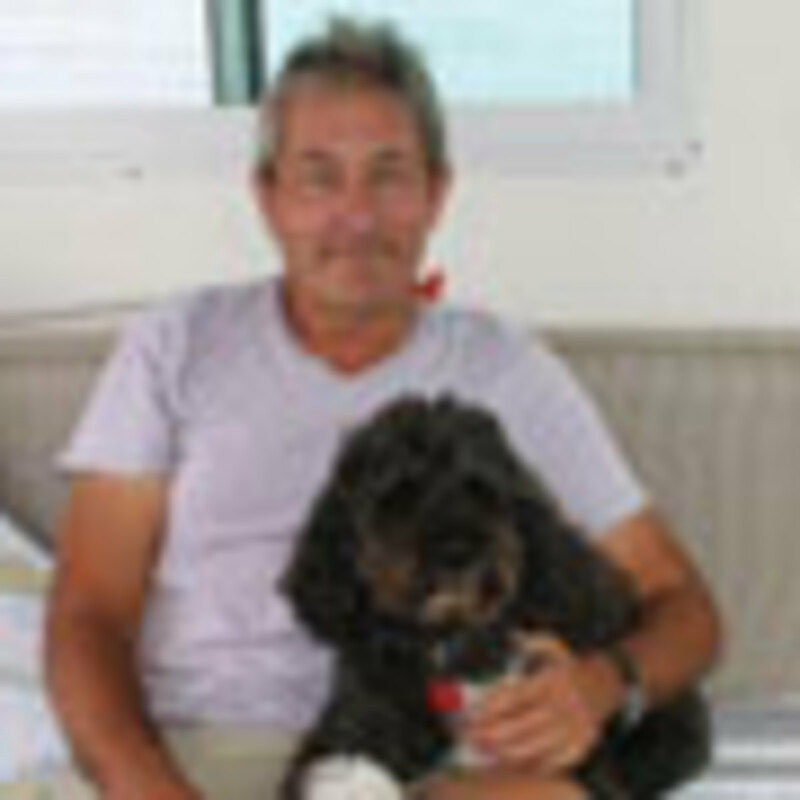 Wilbur Yachts was founded by Lee S. Wilbur and his wife, Ingrid, more than 30 years ago. 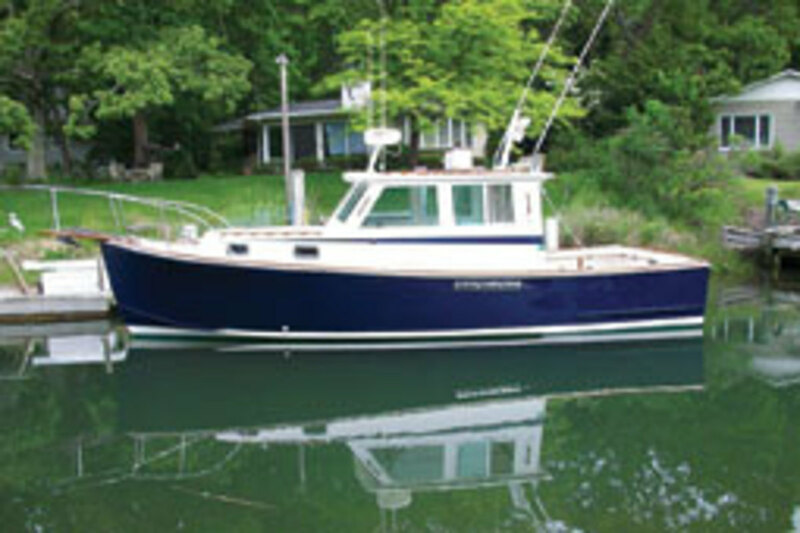 Since then, the Maine boatbuilder has turned out a considerable fleet and established a reputation for quality construction, rugged performance and practical comforts. 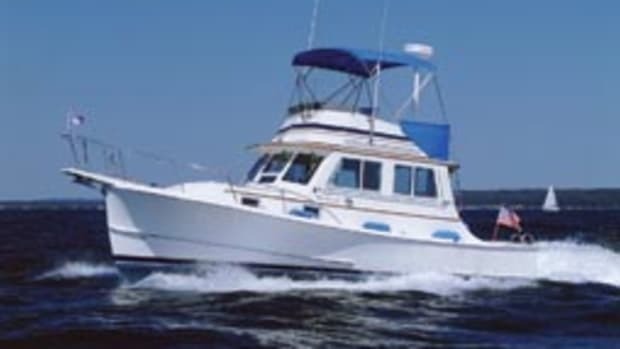 Wilbur Yachts successfully rode the wave of interest in fiberglass Down East pleasure boats that began in the 1990s, and it continues to build practical cruising and fishing boats from 28 to 61 feet, along with custom craft, at its Mount Desert Island facility in Southwest Harbor. The company remains in family hands and is now run by John Kachmer and his wife, Heidi, who is the Wilburs&apos; daughter. Used Wilburs can be found around the country and prices for the 31 Dirigo run around $150,000, more or less, depending on age and condition. BUILDER: Wilbur Yachts, Southwest Harbor, Maine.